The moneysmart index provides fresh insight into trends related to financial wellness, including saving, debt management and investment. It is based on periodic surveys of 1,300 UAE residents earning over Dh10,000 ($2,720) per month, with the most recent study comparing responses with an unpublished benchmark survey in 2014. In the most recent survey, 56 per cent of respondents said they “keep very close track” of their finances, up from 52 per cent in 2014, suggesting that people are being more careful about budgeting and managing their personal finances. Some 38 per cent said they had a good idea of how much they spend, but are not precise, compared to 37 per cent in 2014. And only 6 per cent said they paid no attention at all, down from 12 per cent in 2014. 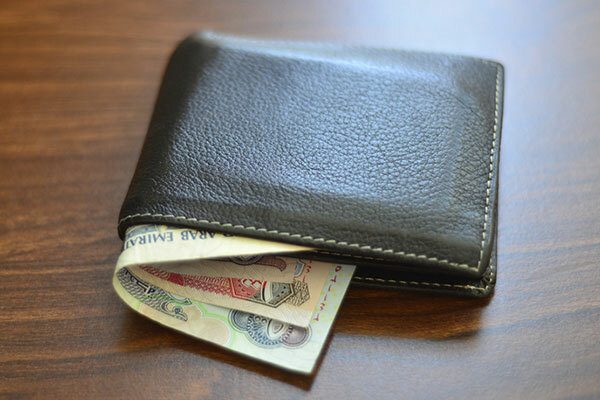 In addition, 57 per cent of UAE residents pay their expenses every month and have some money left over, compared to 55 per cent in 2014. Some 40 per cent say they have little left after paying all their expenses, versus 36 per cent before. Fewer people are living beyond their means, with 3 per cent saying they spend more than they earn each month, compared to 9 per cent in 2014. Fifty-one per cent of people say they save most months, compared to 24 per cent in 2014. But the proportion of people who say they never or rarely save has dropped to 5 per cent from 14 per cent in 2014. Adib’s vice chairman and acting chief executive officer Khamis Buharoon said: “What we see in the Adib moneysmart index is that more people want to take better care of their personal finances. That is good news, and as a responsible bank, Adib aims to empower our customers to make the right financial decisions. More people with debt are finding it difficult to manage, with 48 per cent saying they “sometimes struggle” to make monthly instalments, compared with 31 per cent in 2014. The survey found that bank consumers are not aware of the rates that they are paying. For example, 59 per cent know the rate on their personal finance and only 55 per cent know the rate charged by their bank card. Philip King, global head of Retail Banking at Adib, said: “It is encouraging to see that more people in the UAE are looking more closely at managing their finances and savings. However, it is clear that people would benefit from debt management advice. The survey clearly shows that what people are doing with their savings is changing. More people are keeping their savings in the bank, while other investment options have become less popular. Nearly half of respondents (46 per cent) said they kept their savings in cash or deposits, up from 39 per cent in 2014. There has been a big drop in people investing in their own businesses – 28 per cent of savers, compared to 56 per cent previously. And 24 per cent of people are putting their money into real estate - 16 per cent in publicly traded shares and 9 per cent put their savings into mutual funds. The three most cited reasons given to save are for emergencies (58 per cent of respondents), home ownership (44 per cent) and children’s education (41 per cent). In addition, 40 per cent said they saved for retirement and 36 per cent said they saved for holidays. The moneysmart survey found that UAE residents value financial advice most for how to plan for life events, how to build savings and planning for retirement. People tend to seek many sources of information, with face-to-face advice favoured by most, but blogs, websites and apps gaining ground. Banks are the preferred source of financial advice, with 25 per cent of people saying they were “very likely” to use them, followed by family and friends, with 22 per cent. A reputable online community was the third most favoured source, with 21 per cent said they were very likely to access advice in this way. Self-help books, personal finance websites, and newspapers were also cited as useful sources, while certified, independent financial advisers were only chosen by 7 per cent of respondents as their main source of advice. In general, the perception of banks in the UAE is positive, with 75 per cent of respondents trusting banks to do the right thing by their customers and behave responsibly. Seven in 10 people said they were more likely to use a bank that behaved responsibly, supported the local community, took a sustainable approach to banking, provided advice on managing money, and provided unbiased investment information. Adib has run a financial education programme since 2011, taking its message on responsible personal money management to schools and colleges, as well as to popular meeting places such as malls and community events.